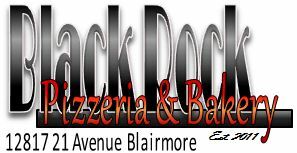 Black Rock Pizzeria was founded in 2010 by John and Erica Warlow with a vision of creating an innovative menu and the highest quality pizzas available in southern Alberta. From the beginning we have been committed to quality and our standards are high. 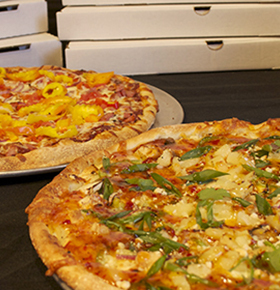 We use fresh foods, not packaged, and you are always guaranteed the finest ingredients. 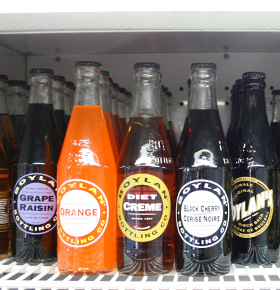 Our original location was small and not without challenges. The space was divided with our second business, Bamboo Bistro. Together, Black Rock and Bamboo Bistro became an overnight success (not without a lot of hard work) and it was common to find the restaurant packed on any given night. Within a a year we knew it was time to expand. We now enjoy a much larger building, which houses Black Rock Pizzeria & Bakery, Bamboo Bistro, and our new catering business, Chef for Hire. 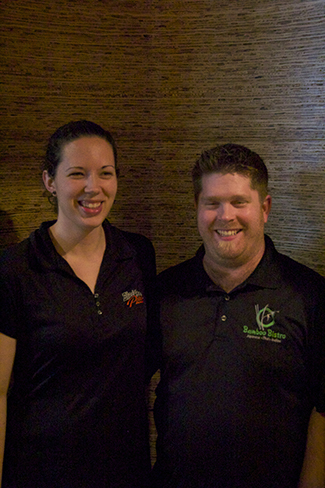 One thing that has not changed is our commitment to creating some of the finest food you can find in Crowsnest Pass. Stop in, meet John and Erica, and enjoy your dinner.